I know, normal people go to the beach for Spring Break! 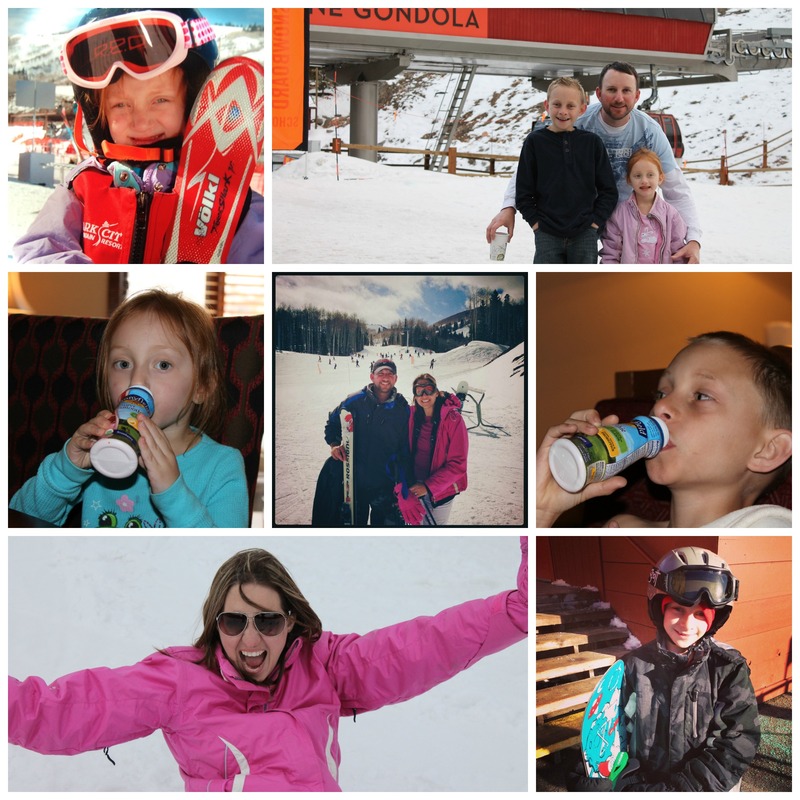 We’ve always wanted to take the kids to see snow. My son last saw snow at the age of 1 when we were still living in Georgia and our daughter has never seen snow. Both my husband and I were raised in Georgia and only saw the occasional dusting and ice storm. So we finally packed the kids and set out on our very first family snow skiing adventure. Here’s a quick glimpse at some of our favorite moments in the snow. On our very first day in Park City we attempted to learn to ski by enrolling the entire family in ski classes. I’ll leave out the drama and stress behind the mornings adventure trying to get everyone to their different classes and my husband loosing the rental car keys. Our daughter had lessons at another resort because they were booked at ours. Our son was all decked out in his snowboarding gear and my husband and I joined 2 other girls for skiing 101! After finally settling into the class we were both starting to get comfortable on skis and really enjoyed the practice slope. By lunchtime we were extremely exhausted and without a charged cell phone (one was left in the car by accident and mine was dead) and had no way of knowing how either of the kids were doing. Our legs were aching and we were preparing to go down the green slope for the first time. The instructor decided it was best to bring in a back up ski instructor to give my husband one final personal lesson before they attempted the hill; while the rest of us went up the ski lift for the first time. The fear of going up (and getting off) the lift was starting to get to me but I was trying to enjoy the view from above the trees as we continued to go up the mountain. There was no practicing getting off the lift; just a quick verbal tip from the instructor. I guess I needed the practice because I fell on my face getting off the lift! Yep – that was me! The next 20 minutes were the worst 20 minutes of the entire day! I guess I wasn’t ready for the green slope because I proceeded to fall 5 more times going down the hill; each time I got more and more frustrated. I think I ended up having a mild panic attack by the end of the slope and decided I needed a break. There is something about having absolutely NO control that sends me into complete meltdown mode! I think my husbands experience was very similar as he attempted the slope after me. Needless to say, by the end of the day we were extremely happy to take give the skis back to the resort. The next few days we spent enjoying the snow in other ways. We went snow tubing at Gorgoza Park for a day, built snow men, had snow ball fights, and swam in the heated pool and hot tub. We found some sleds at a local store and played on the hills next to our resort in the afternoons and evenings. 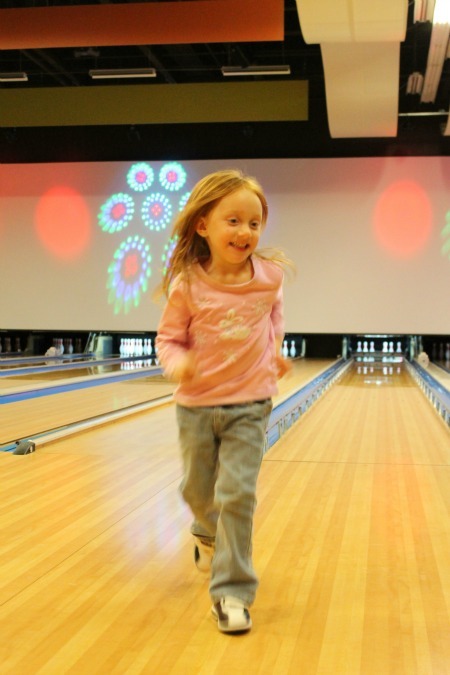 One day we skipped the snow and went bowling (our daughters first time). The entire time my husband and I kept questioning whether or not we should attempt skiing again. We were quite busy for being on vacation but it was relaxing. The resort we stayed at had a full kitchen and we were able to eat breakfast and lunch in our room. There was even a Whole Foods nearby and I found our favorite Stonyfield YoKids Smoothies there. At home my kids drink these smoothies all the time and they are great for throwing in the car for after school snacks. It was nice for them to have something familiar (and healthy) to snack on after a long day in the snow. They are made with real organic fruits and vegetable purees and are the perfect size for my kids. After our snacks and long afternoon naps (seriously, I forgot how great naps are) we toured the downtown areas and found some great restaurants. One evening the kids even got to see it snowing (flurries that lasted all of 5 minutes) and caught a few snowflakes on their tongues. Finally, on our 4th day of vacation we decided to try skiing again at a different ski area. We heard that Park City had a really easy green slope for beginners (compared to the green slopes at the Canyons). We attempted the second day without lessons and as a family. That presented a few challenges as we realized neither one of us had enough control of ourselves; let alone control of our 4 year old! I sent my husband and son on to get some practice in, while I removed my skis to help her out. After she ate snow (not intentionally) and cried for 20 minutes I realized what her skill level was. Tip: Ski school for toddlers is well worth every penny and is the best babysitter around – we should have enrolled her again. Lesson learned. After lunch the boys hopped on the lift together and tackled the slopes! I was so excited to hear that it was a success and no one fell or cried! After a LOT of convincing I decided to attempt it myself. It was fun to see my son having fun on the snowboard and being able to actually make it down a slope without falling. I’m not sure what changed this second day but it was finally getting easier! We alternated skiing and playing with our daughter on the baby hill and really enjoyed our day together. 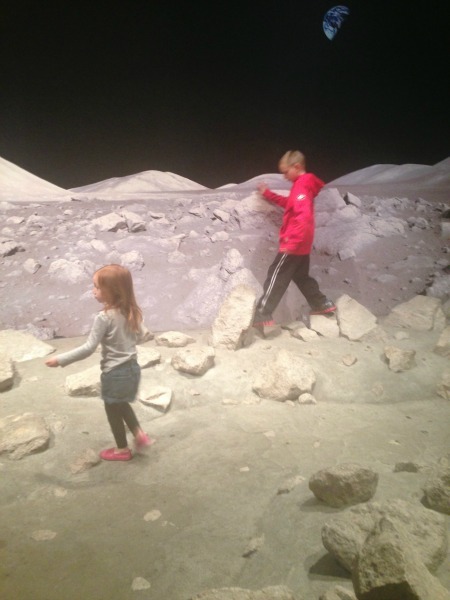 On our last day in Park City we spent some time in Salt Lake at the planetarium and found ourselves on the Moon! After our trip to the Moon we had several more hours to fill sitting around the airport waiting for our red-eye back to Tampa. Thankfully I had our deck of “52 Fun Things to Do in the Car” cards and we found ways to entertain the kids. Even though we weren’t in the car we still found a few that were fun to do. I loved “One Word Stories,” where somebody starts a story by saying just one word, then everybody takes a turn adding the next word. By the time we boarded the plane both kids fell fast asleep and we made our way back to sunny Florida. GIVEAWAY: Would you like to win some Stonyfield Smoothies and a pack of “52 Things” cards? 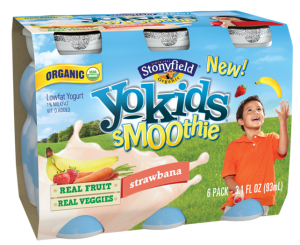 Stonyfield is giving one of my lucky readers coupons good for four 6 packs of YoKids Smoothies (coupons to redeem locally) and a deck of cards. Just fill out the information below to enter! Winner will be announced on May 3rd. Disclosure: Our trip to Utah was NOT sponsored by Stonyfield. It is part of a sponsored campaign and I received product and a gift certificate as compensation. 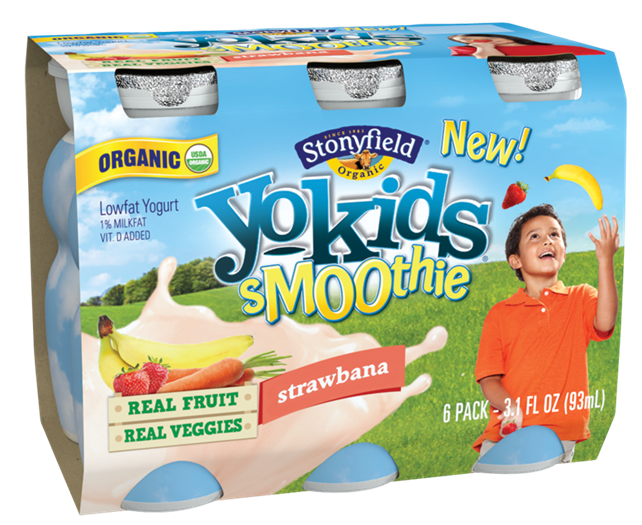 My kids honestly love the Stonyfield Smoothies and you can find them in our fridge almost all the time. She would be taking them to the beach! Mine would take them to the park! We’d take them to the zoo! Commonly I wouldn’t understand document about blogs, even so need to claim that that write-up pretty pressured my family to see in addition to do this! A person’s writing style has become astonished us. Appreciate it, very nice post. We’d probably take them outside for a cool treat on a hot summer day while we play at the park!